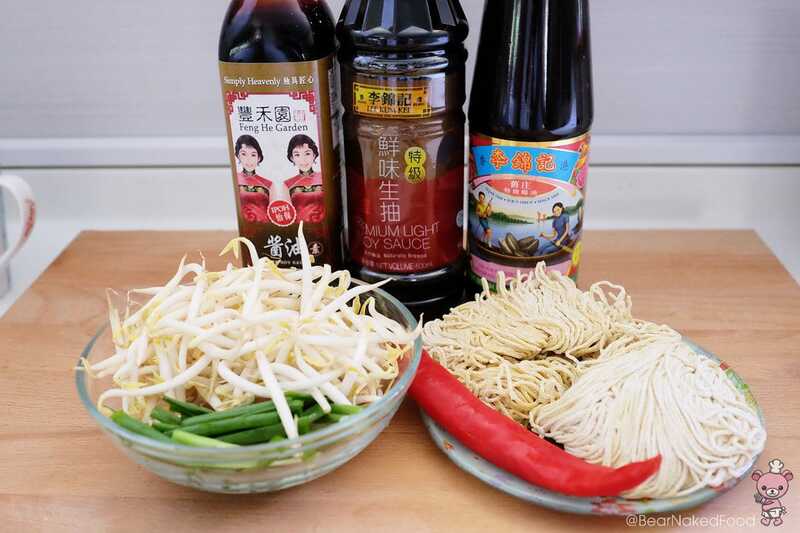 Growing up in a Cantonese household, one of our childhood breakfast items I could still fondly reminisce is this Easy Stir-fry Soy Sauce Noodles. 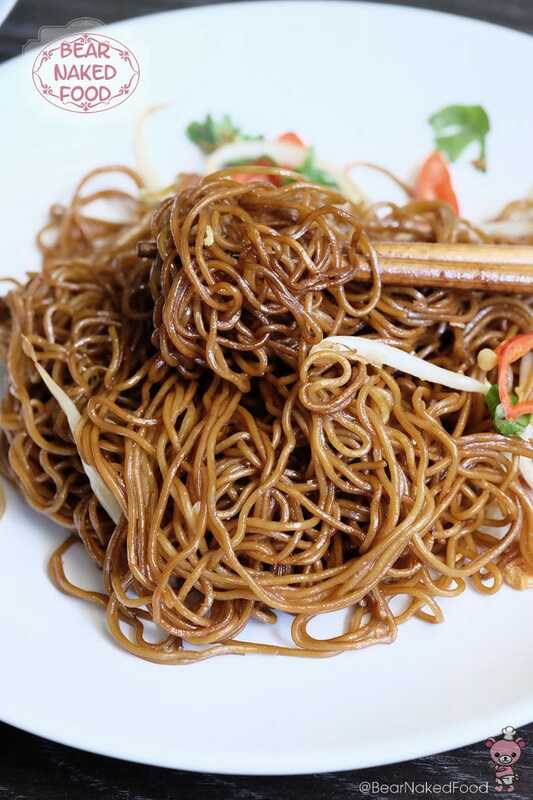 There are no fancy ingredients used in this humble noodle dish, the key ingredient is good ol’ light and dark soy sauce. 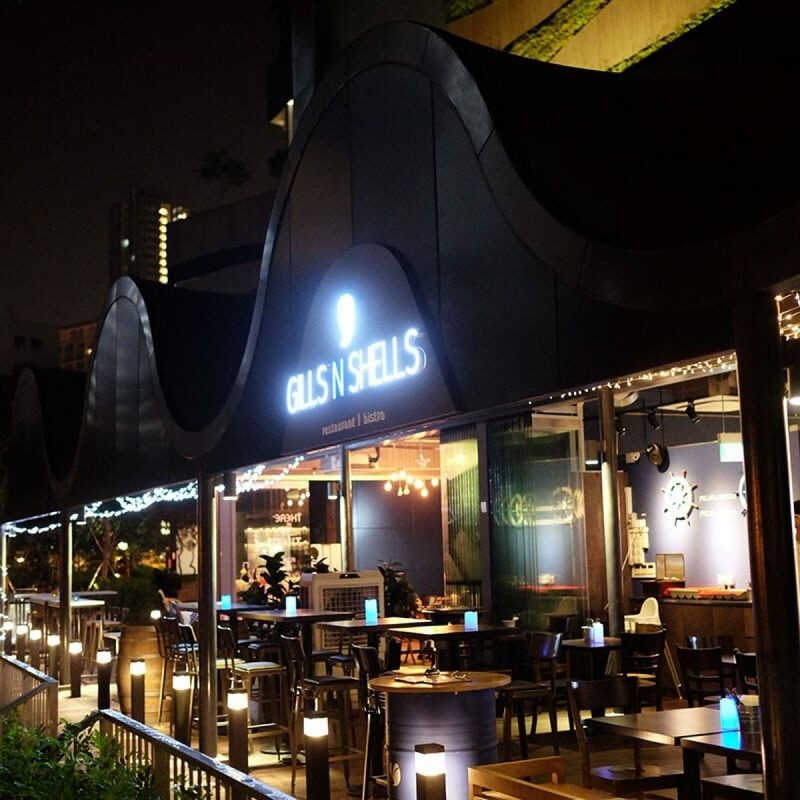 Since they are the “star” in this dish, it makes sense to use good quality soy sauce. 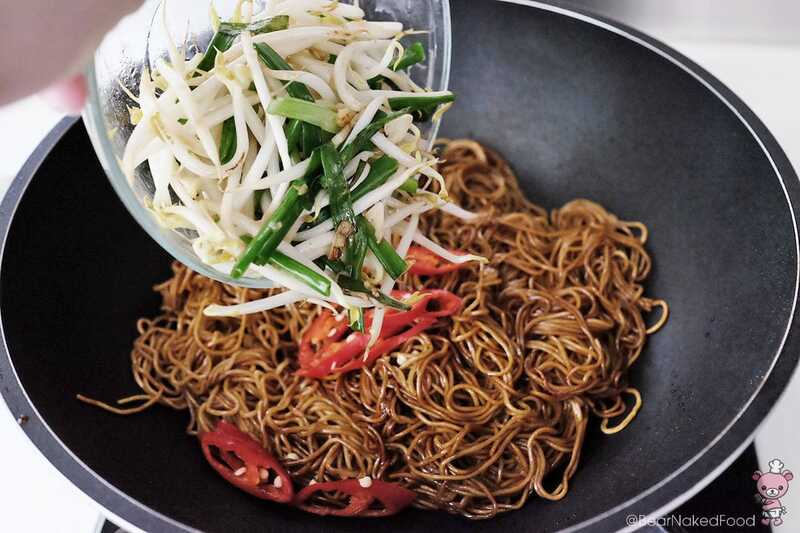 For texture, a handful of green onions and bean sprouts are scattered into the noodles at the very last minute. Now, if you are a carnivore and cannot do without meat, go ahead and add in your favorite protein. 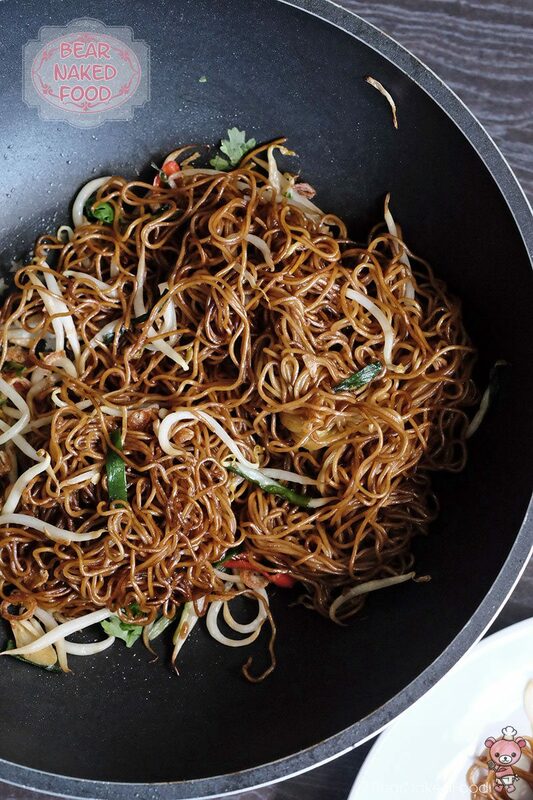 There is absolutely no judging when it comes to making these noodles. 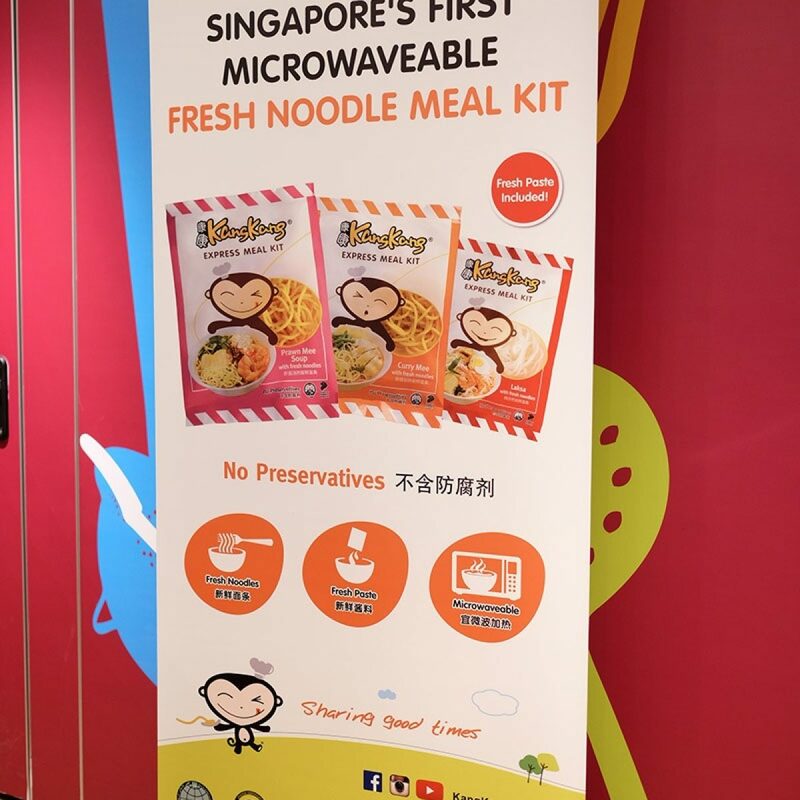 I’m using fresh egg noodles but if you can’t get hold of it, feel free to substitute with dry egg noodles, vermicelli or even rice noodles. If there are any leftovers, you’ll be happy to know this noodle dish stores well in the fridge for up to 3 days. 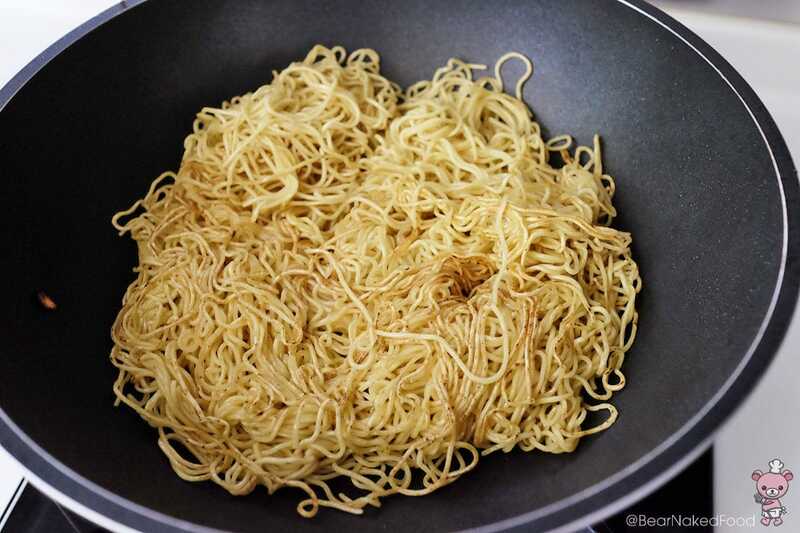 Bring a large pot of water to boil and add in the noodles. 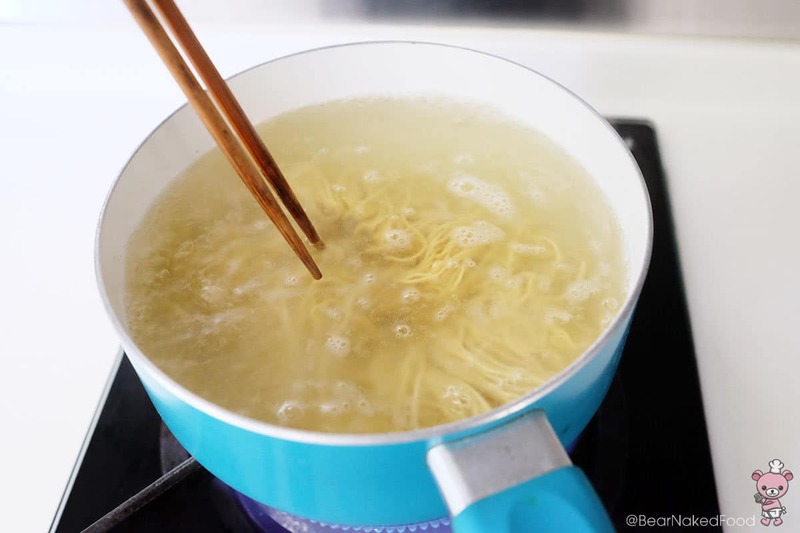 Using a pair of chopsticks, separate the noodles and cook for 2 minutes. 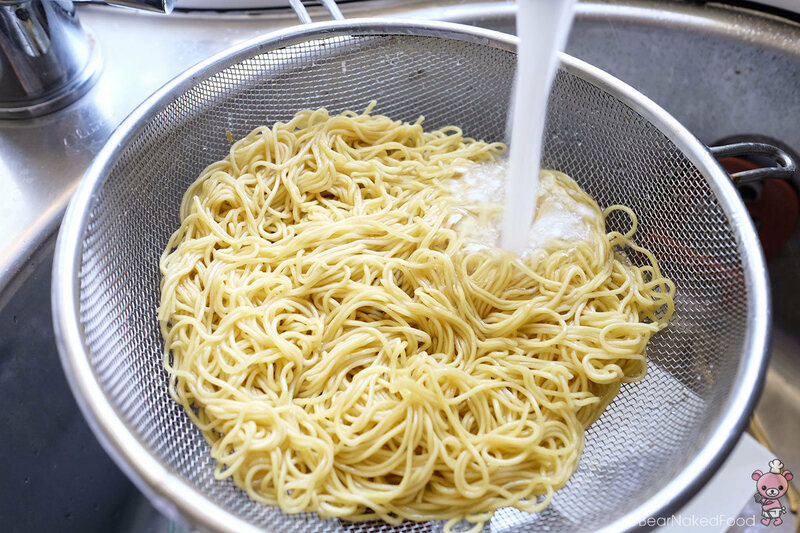 Immediately drain and rinse the noodles under running tap water. 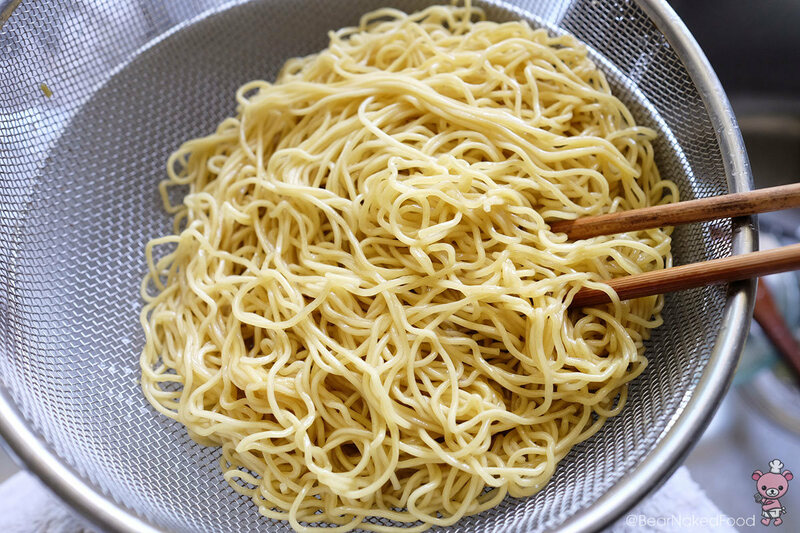 This will stop the cooking process and firm up the noodles. 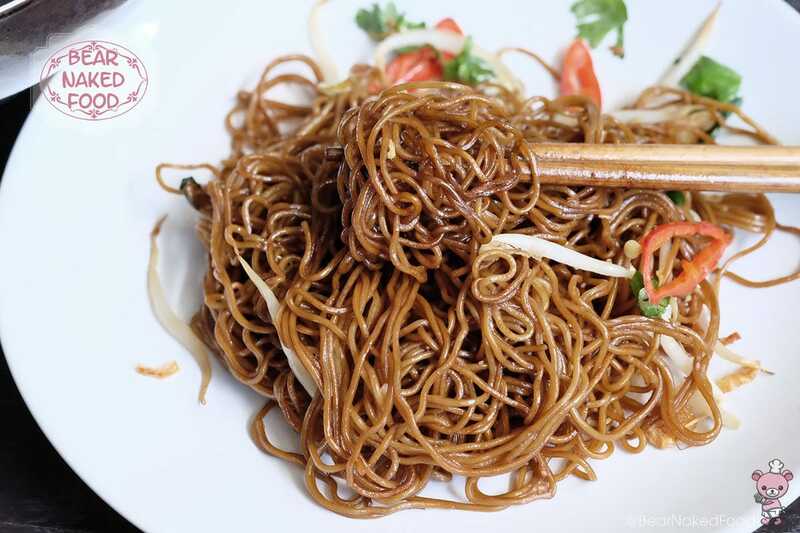 Drizzle 1 tbsp sesame oil and toss the noodles well to prevent them from sticking together. Set aside. 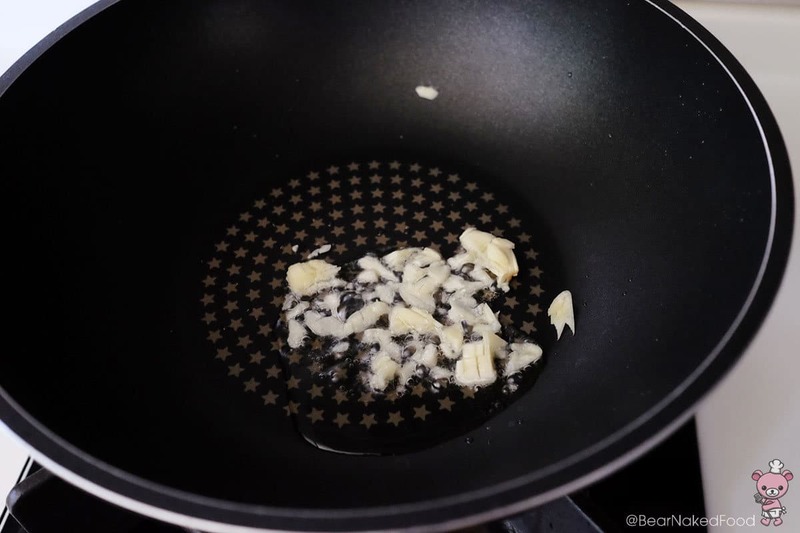 Add 1 tbsp vegetable oil in a wok and saute the garlic until fragrant but not burned. 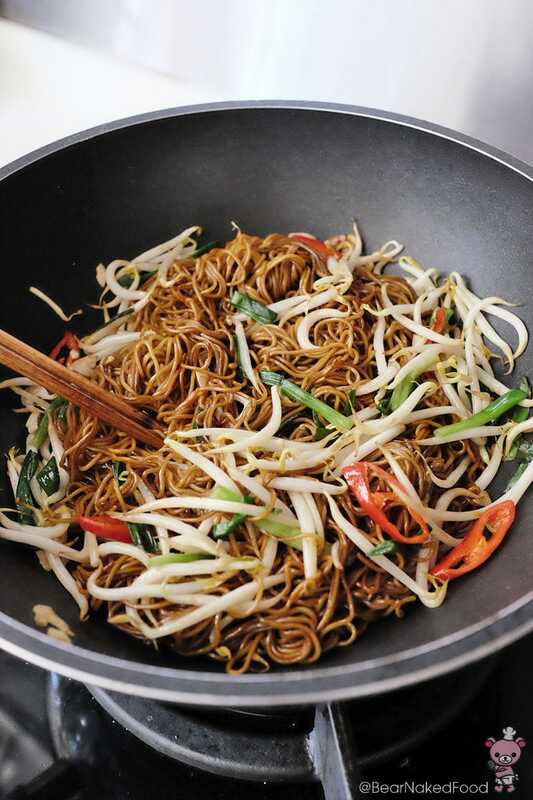 Add in bean sprouts and spring onions and stir fry to 30 secs. 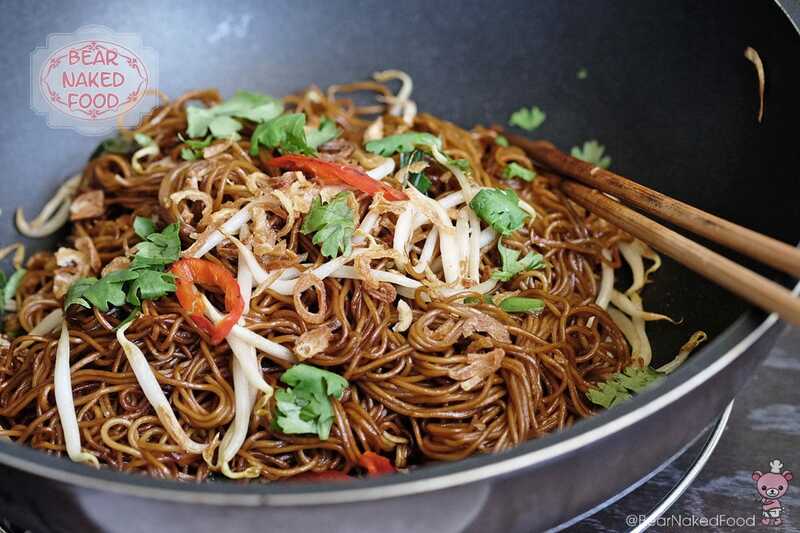 Add another tbsp of oil to the wok and add in the noodles. 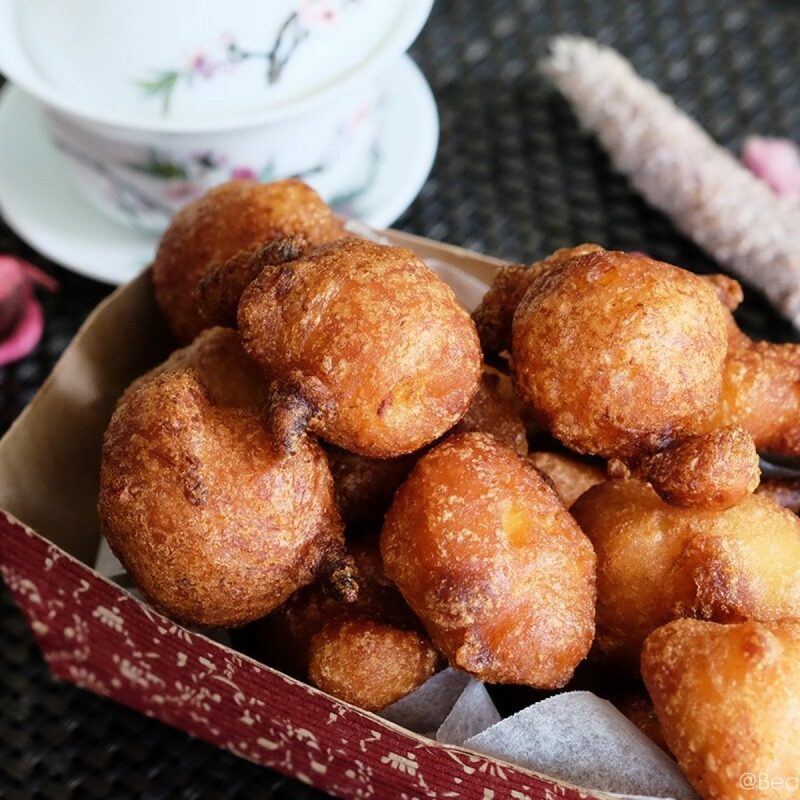 Let them sit in the hot wok for one minute to crisp up before tossing them over. Add in the sauces and toss well over high heat. 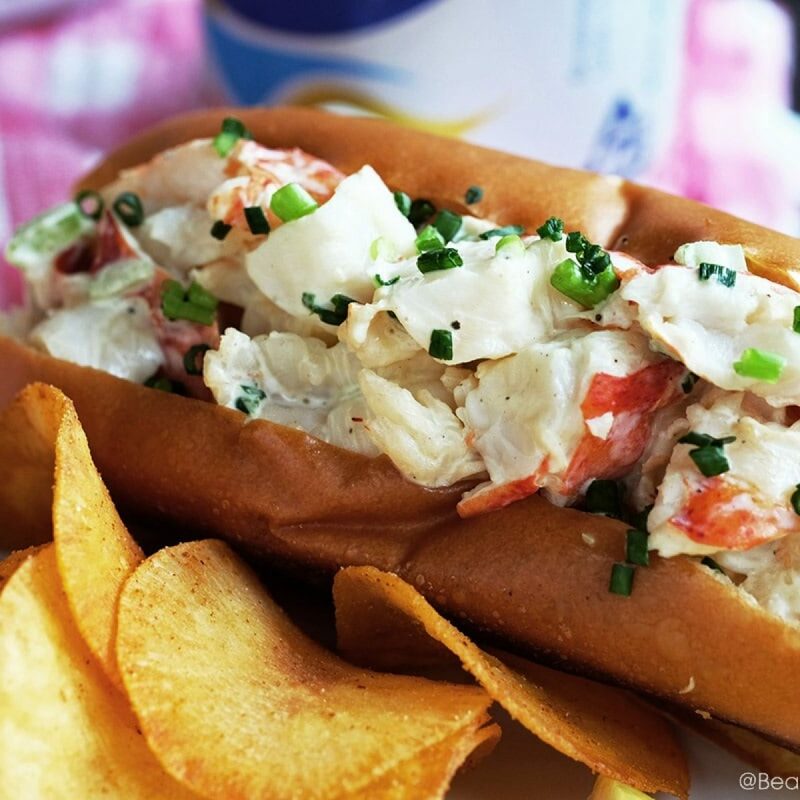 Taste and adjust with more seasoning if needed. 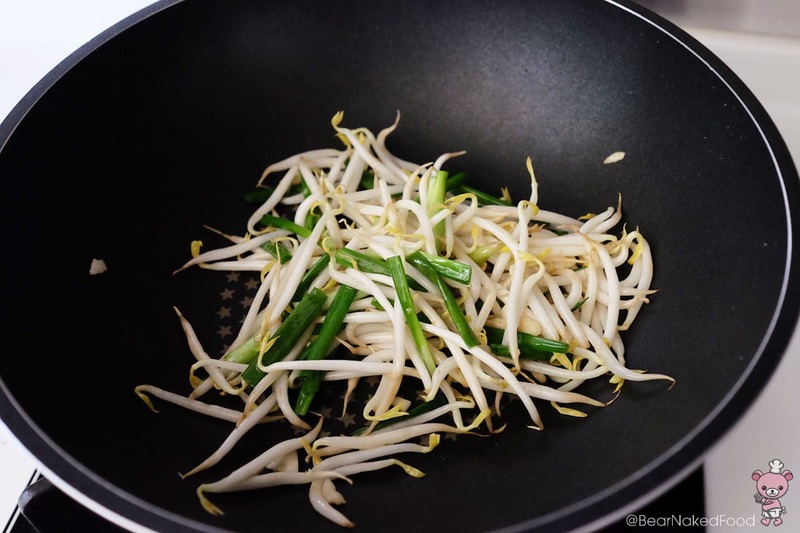 Add in the cooked bean sprouts and spring onions and mix well. Turn off heat. 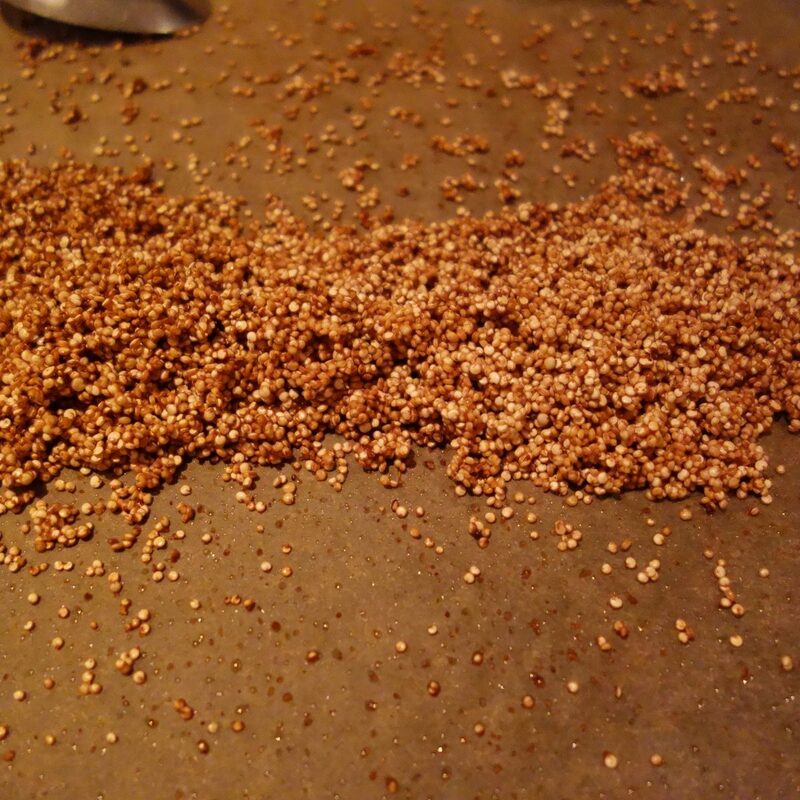 Sprinkle with toasted sesame seeds and serve.